Circular Route discontinued - terminating at Bexleyheath via Crook Log and extended from Bexleyheath to Erith Mon-Fri and Sat am. This was part of Trolleybus Replacement program. 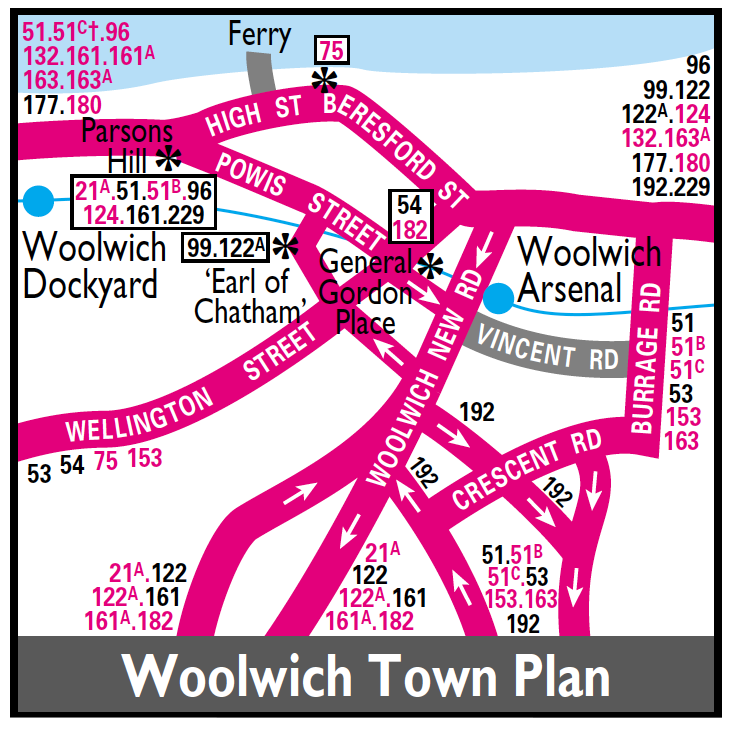 MS service extended from Erith to Woolwich and further extended Mon-Fri peaks from Woolwich to Victoria Way. SP allocation withdrawn - BX allocation introduced. Mon-Fri service diverted to SLADE GREEN STATION,withdrawn between Colyers Lane and Woolwich / Victoria Way. Memory tells me that this was the 1970s and a (post-withdrawal?) resurrection as an emergency substitution for a newer and purportedly more reliable B20 DMS. Unfortunately it was often necessary - and the SMs were obliged to somehow make do with the three front blinds from a DMS. Saturday service extended from Bexleyheath to Erith as per Mon-Fri. Reverted to pre 1959 routeing being a circular route. The Bexleyheath to Slade Green section covered by revised 89. Converted from DMS type to Leyland Titan type. Circular route withdrawn in favour of above routeing. 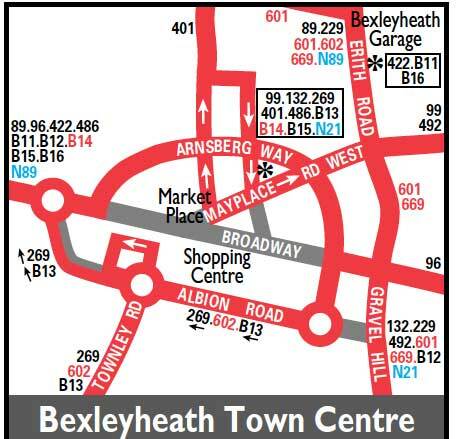 Note: On Friday and Saturday nights after 2200 - buses start from Bexleyheath Arnsberg Way - near Geddes Place - and thus do not serve Market Place or Friswell Place. Extended from Eltham Station to North Greenwich Station. E62 is in Bexley Road - Eltham - heading towards Blackfen.